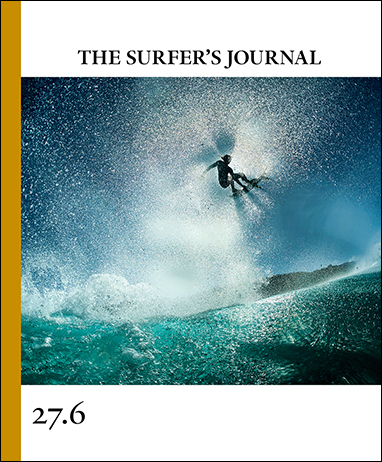 On the cover: Human corona—Mikey Wright at Off The Wall. Features inside the book shed light on a rivermouth sandbank in equatorial Africa, the swamps and inlets of Florida, and a foundational headland on the East Coast of Australia. The pitfalls of modern surf forecasting, the mind-space of a slab-hunting fireman, and the irreverent outputs of artist Paul McNeil mark other points of conference.